Despite its close proximity to downtown and a fairly direct commute to both of the bridges crossing Lake Washington, the Central District was one of the most marginalized areas in Seattle for many years. Redlining and home lending discrimination had a huge impact on the traditionally black residents of the area, but out of this adversity a true community was created. That community is feeling a bit under siege at the moment, as the city's population and housing boom has led to some rapid transformations in the neighborhood in recent years, with even bigger changes to come. Until ten years ago, the changes were more slow and subtle. For instance, the GLBTQ community started to buy houses in parts of the CD as property closer to Capitol Hill became expensive. But in the last decade, before the the big recession hit in 2009, modern Green Built developers started to buy up cheaper plots of land and create what is now the coveted home style of many buyers. 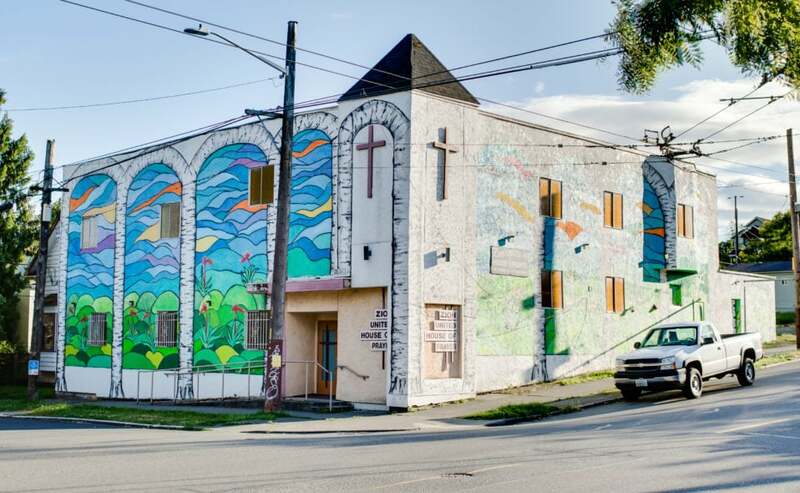 On the main thoroughfares running north and south (23rd Avenue and Martin Luther King Jr Way), one sees the biggest changes, with large multi-use buildings interspersed among older single-family homes. Meanwhile, Cherry St between these thoroughfares speaks to the established community, including: the popular Garfield Community Center; the alternative high school, NOVA; a steamy, family-run Thai bistro; the Twilight Exit dive bar; a slew of Ethiopian restaurants; and a couple bodegas with Ethiopian fare. Without a doubt the Central District is one of the most interesting and diverse neighborhoods in the city. Electric Lady Bicycles: You can bike Seattle's hills with one of these fab bikes! Chuck's Hop Shop: Truly love Chuck's! Dogs, fab folks, cold beer, and nice people! Garfield Community Center: Outdoor play area for the tykes, a pool, a library, and just awesome! Fat's Chicken and Waffles: Owned by long-time CD residents keeping the soul of the city delicious with Louisiana-style fried chicken. The Neighbor Lady: They have boozy popsicles. What else does one need in life?